So don't hesitate to give our service professionals a call at (425) 595-5509 to give your car the brake attention that it needs! If you're a driver near Mukilteo, Washington that is looking for quality brake assistance, use our online form to schedule an appointment here at our new and used Toyota dealership today. Upon your arrival here at our convenient Everett location near Mill Creek, WA, we'll inspect your car's braking system and brake pads, ensuring all is performing up to its factory specifications. 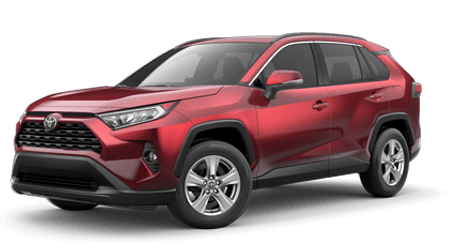 Should your used Toyota RAV4 benefit from a new set of brake pads, our staff will introduce you to the affordable sets that complement the trim you drive and can answer any questions you may have so that you can make an informed brake decision. We'll then get your chosen brake pads onto your vehicle and get you back out on the road! We thank you for turning to Rodland Toyota for your vehicle's braking needs, and our family owned and operated car dealership looks forward to treating you to the hassle-free vehicle maintenance process that you deserve.